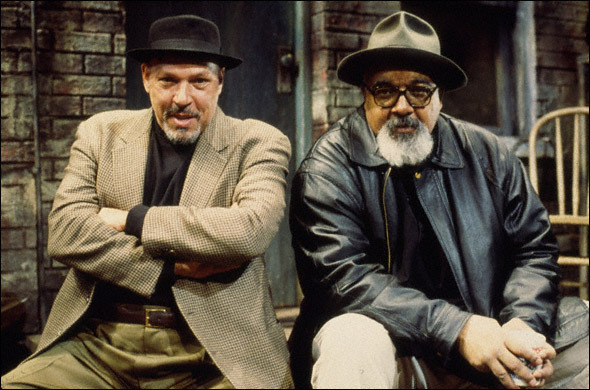 Posted on August 8, 2013 by Squid, Inc.
Well, put it in the record that August Wilson was the greatest American playwright at the turn of twenty-first century. A bold claim, I know, but one I stand behind. The latest of America’s greats, he belongs in the hallowed halls along with Miller, Hansberry, and Williams. 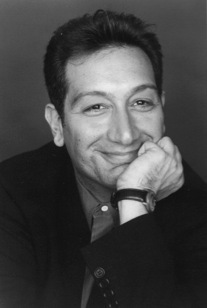 The two-time Pulitzer Prize winner (Fences, The Piano Lesson) became famous for a series of ten plays known as the Pittsburgh Cycle, or alternatively as the American Century Cycle. Each one played on the stage of black life in America and American life in general in each of the decades of the twentieth century. Wilson captured the spirit of African-American existence and ambition in ways previously unattempted and unmatched in quality. His works are as much plays as they are staged ethnographies of the black experience, invigorating to those who could identify with them and illuminating to those who could not. He passed away in 2005. Wilson’s ten-play cycle, according to Greene Space, “chronicles the African American experience in the 20th century with each play set in a different decade. The cycle begins in the early 1900s, when wounds from slavery and The Civil War were still fresh, and closes in the 1990s, when even a large and increasingly influential black middle class would not escape persistent racial tensions. 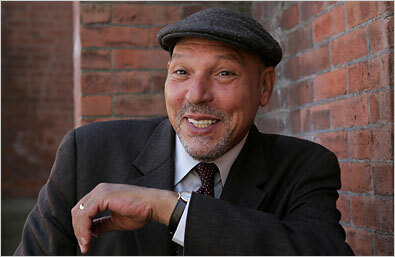 “Not black by accident” is the fulcrum on which August Wilson’s ideas about race and casting turn. An outspoken opponent of colorblind casting, the practice of casting roles without regard for the ethnicity of the character, Wilson saw it problematic, degrading and assimilationist. His speech at the 1996 Theatre Communications Group Conference, “The Ground on Which I Stand,” articulates his desire for a tradition of African-American Theatre, one defined by black actors and black playwrights, not “a social milieu that has denied him his gods, his culture, his humanity, his mores, his ideas of himself and the world he lives in.” He regarded colorblind casting as part of a nonsensical “post-racial” nihilism of art, one ultimately oppressive and dismissive of the stories of people of color (a term he abhorred), and specifically damaging to the goal of African-Americans to establish their own distinct sustainable place in American theatre. Theatre is part of art history in terms of its craft and dramaturgy, but it is part of social history in terms of how it is financed and governed. By making money available to theatres willing to support colorblind casting, the financiers and governors have signaled not only their unwillingness to support black theatre but their willingness to fund dangerous and divisive assaults against it. I’ll let you read the rest of his opinions from his speech; he articulates those ideas more effectively than I ever could, genius that he was. I prefer instead that we engage with the concept of colorblind casting on our own. Do we need colorblind casting? Ostensibly, it is designed to give actors of color additional opportunities in a theatre scene primarily written by and for whites. Without colorblind casting, blacks, Latinos, Asians, and other actors of color might find it impossible to get work or to escape from a consistent tokenism in writing and casting. Certainly, this establishes better representation in the arts and broadens the options of actors of color. What could be wrong with that? It’s time for a new dominant strategy toward equality in casting. I’m not arguing that less-talented actors of color be given roles simply on the basis of their race/ethnicity. Bad acting makes me want to crawl out of my not-black-by-accident skin and die, and I don’t want to do anything to encourage it. But if a system designed to provide opportunity instead denies it, isn’t time to consider something new? This entry was posted in Racial Issues, Theatre Thursdays and tagged African American, asian american, August Wilson, colorblind cast, Federal Theatre Project, fences, minority representation, moises kaufman, Musical Theatre, Piano Lesson, poc, poc issues, S. Epatha Merkerson, The nightingale, Theatre by Squid, Inc.. Bookmark the permalink.